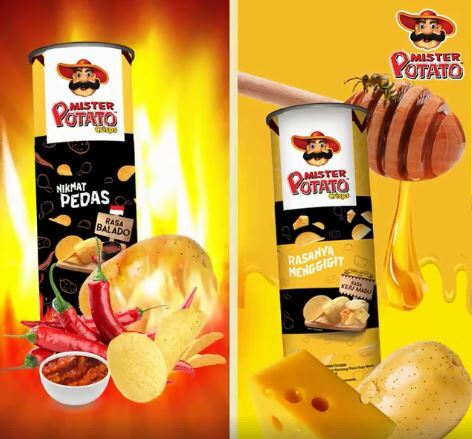 PT Pacific Food Indonesia, the producer of Mister Potato and Smax, has officially launched two new Mister Potato flavours – Balado and Keju Madu (honey cheese). Honey cheese comes with the sweet flavour, while balado is spicy. Balado is found in Minang cuisine in West Sumatra. The sauce is made by stir frying ground red hot chili pepper with other spices. At the moment, the contribution of Mister Potato and Smax is 50:50, said PT Pacific Food Indonesia Marketing Manager Leovhaty Augusta as reported by business portal Kontan.co.id. Leovhaty said with the launch of the two flavours, the goal is to increase the revenue share of Mister Potato to 60%. 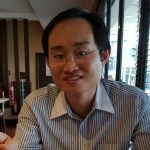 Smax is sold in the general trade and modern channel aiming at the lower-end of the market, while Mister Potato focuses on the modern channel targeting mid-end consumers. Mister Potato’s key consumer demographic is from the age of 15 to 25 who account for 40% of sales, said Leovhaty. She added the company’s market share in potato crisps is currently in the third place, an improvement from the sixth place two years ago. Even though its products are available across the country, Java Island continues to contribute the largest share of revenue. The factory of PT Pacific Food Indonesia, a unit of Malaysia’s Mamee-Double Decker (M) Bhd, is located in Jatake, Tangerang in Banten, the westernmost province of Java. In addition to serving the domestic market, the finished products from the factory in Jatake are mainly exported to the rest of Southeast Asia. Exports account for 20% of total production with a plan to increase exports by 30-35%, said Leovhaty. Tropicana Twister sports a new look, resembling private label?